You may have seen celebrities with their amazing bodies and wonder how they achieved it? Did you know that many of them put on boxing gloves and get into the ring for some good old punching? Not many people consider boxing as part of their health and fitness routine. However, this is slowly starting to change with more and more exercisers preferring adult boxing classes in Dubai to lose weight and achieve a total body workout. Boxing is for your whole body. 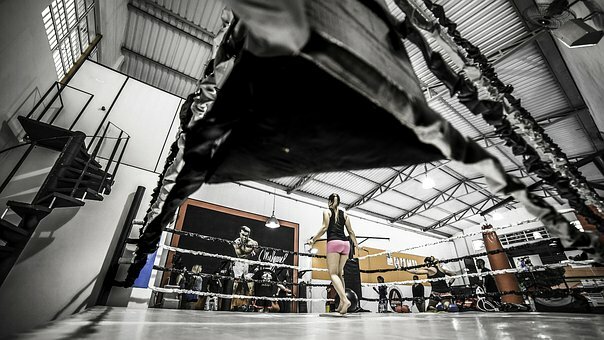 Boxing improves cardio respiratory fitness, boosts strength and balance, coordination and agility. Boxing helps you burn 13 calories per minute and are head to head with leading cardio activities including running and cycling. You can punch between 200 to 400 calories every half hour, this is why celebrities and popular personalities have picked boxing as their new exercise fad to maintain physical fitness and enjoy a fabulous physique. Boxing is a high intensity fitness routine with intervals that rely on a workout resembling maximum input and active recovery. It is akin to an aerobic workout. Boxing burns more calories compared to other equally strong physical activities. With an intense workout your body requires more energy, which you keep on giving. Even during recovery mode you are preparing for the next intense period. This helps build speed, strength, power and increases metabolism. Have you been wishing for that six pack lately? With boxing you are one step closer to achieving that dream. You will soon be ready to show off your flat belly, you just need to get into the ring. You are also burning more calories than you would if you were engaged in a routine ab workout. Boxing helps increase better coordination and makes you graceful. While this may not be high on your list of goals, it is not something you would find with most exercise routines. Boxing requires good hand-eye coordination and it challenges not just your muscles but also your mind. Boxing is a never ending game. Just like a boxer gets into the ring and has to keep on learning, so will you when you make boxing a part of your exercise routine. Boxing will keep you on your toes, it never gets boring. It keeps you fresh and makes the routine invigorating. Boxing is for people of all ages. There is no rule to say that only the young can attempt to don a pair of boxing gloves and grace the ring. Boxing is for everyone looking to make their fitness routine that much more exciting!